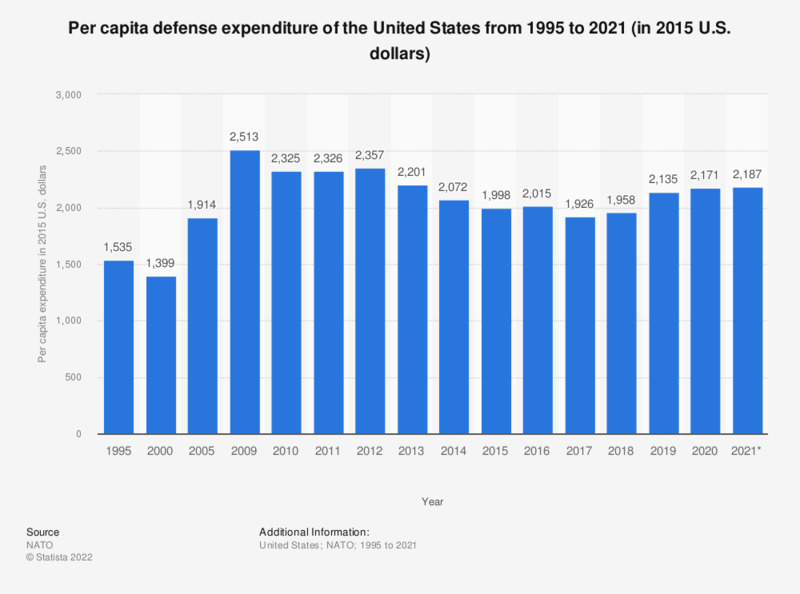 This graph shows the defense expenditures of the United States per capita from 1990 to 2018. In 2018, It is estimated that around 1,989 U.S. dollars per capita were spent on military causes by the United States. A ranking of countries with the highest military expenditures can be accessed here. Data prior to 2011 has been derived from previous publication.